The maritime centres of Hong Kong and Shanghai are joining hands through two important collaboration agreements signed this week. 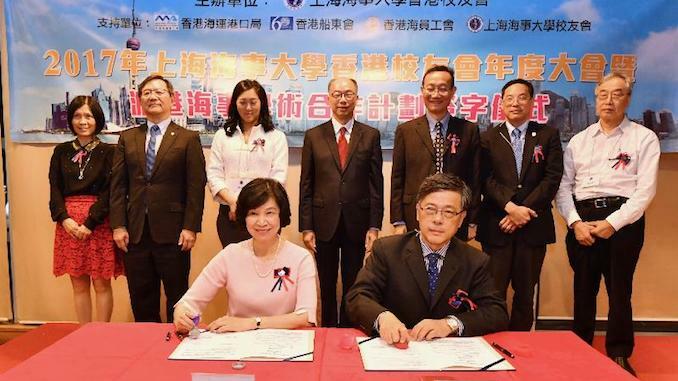 The University of Hong Kong and the Shanghai Maritime University have entered into an agreement that will see the two educational institutes cooperating under the Hong Kong-Shanghai Maritime University Academic Collaboration Scheme. Under the agreement, signed by Hong Kong’s Secretary for Transport and Housing, Frank Chan Fan, the Scheme will begin in the 2017/18 academic year. Selected graduates of the School of Law of SMU will be awarded scholarships to undertake the one-year Master of Common Law programme at HKU. 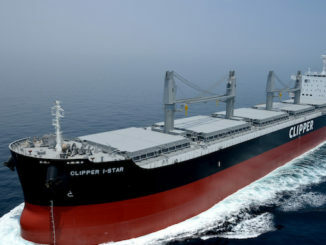 A requirement of the agreement is that scholarship students work in the maritime industry in Hong Kong for at least one year after they have completed the programme. The Government launched the $100 million MATF in 2014 to nurture more talents for the maritime and aviation industries through various scholarships and award schemes, so as to attract young people to join the two sectors. 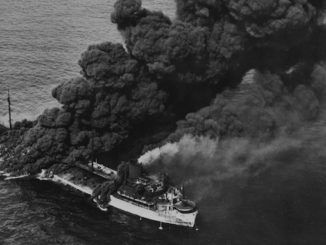 Since inception, over 1,900 students and maritime in-service practitioners have benefited. On the same occasion, a Memorandum of Understanding was signed between the Hong Kong Shipowners Association and the Shanghai International Shipping Institute for the establishment of the Shanghai-Hong Kong International Maritime Research Centre. Signed for the HKSOA by managing director Sandy Chan the MOU will facilitate the SISI and HKSOA working together in maritime-related research, training and exchange. 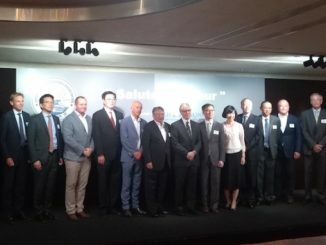 The groundwork for the historic agreement was laid down in a visit to Shanghai in June by HKSOA’s China subcommittee, led by chairman Kenneth Koo, where consensus was reached by the parties to build collaborative platforms for maritime research and training. A joint secretariat, set up to coordinate the efforts of the centre, will be headed by Professor Zhang Jieshu of SISI as Secretary General and Gilbert Feng of the HKSOA as Deputy Secretary General. A circular has been sent out to HKSOA members to harvest their ideas about initiatives the centrec can take up in order to reinforce and enhance the status of the both maritime hubs.